Did Logitech spend $700,000 dollars for UE.com ? :DomainGang Did Logitech spend $700,000 dollars for UE.com ? Did Logitech spend $700,000 dollars for UE.com ? Computer peripheral manufacturer, Logitech, is an industry giant. According to company financials, Logitech posted $2 billion dollars in revenue in 2016, with net earnings in the $119 million range. Logitech also rebranded its range of products by acquiring and using Logi.com. In January, domain investor Elliot Silver, noted that Logitech had acquired the two letter .com domain, UE.com. 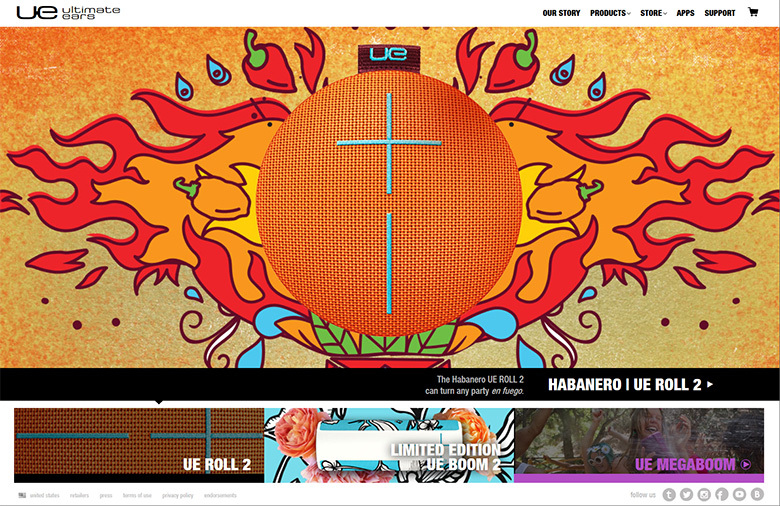 According to Elliot, UE is a match of “Ultimate Ears“, a speaker manufacturer that Logitech acquired in 2008. Canadian domain investor, George Kirikos, is a well-known authority on two letter .com domains; he keeps track of such changes, and often digs into the financial statements of corporations for domain acquisitions. In other words, it appears that the acquisition of the unnamed domain cost $700,000 dollars, which is on a par with the market valuation of a two letter .com domain that isn’t being brokered. Normally, experienced domain brokers achieve a much higher selling price for their clients, in the millions of dollars. In this case, it seems that Logitech got a great deal for a two letter .com domain. Domainer poll : Was the domain LA.com sold for too little? GiftCards.com : Valued at $11 million dollars, part of a 9-figure sale! $700k is a total cost, including all fees and commissions. Very great deal for buyer. Don’t think the Chinese would agree on the letter front..